BBC Radio 4 - From Our Own Correspondent, It just didn’t happen! The UN says the treatment of the Rohingya in Myanmar was genocidal but many in the country refuse to believe it happened. Kate Adie introduces stories from around the world. 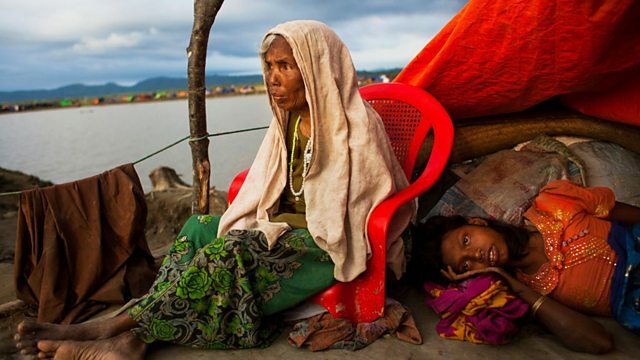 The UN says the treatment of the Rohingya in Myanmar was genocidal; women were raped and killed, men were shot and whole villages were razed, but as Nick Beake has discovered many Burmese people dismiss it all as 'fake news' and some even claim there's no such thing as Rohingya. Tom Bateman was in Egypt as EU and Arab League leaders talked tackling terrorism and boosting trade. There were lots of questions about Brexit, but little mention of the host nation’s human rights record. Julia Buckley visits a failed fascist utopia in Italy. Neil Trevithick marvels at 5,000-year-old cave paintings in Somaliland. And Emma Levine is in Toronto which is increasingly the place to go if you want to film a zombie apocalypse, a Viking invasion or a romcom set in New York.